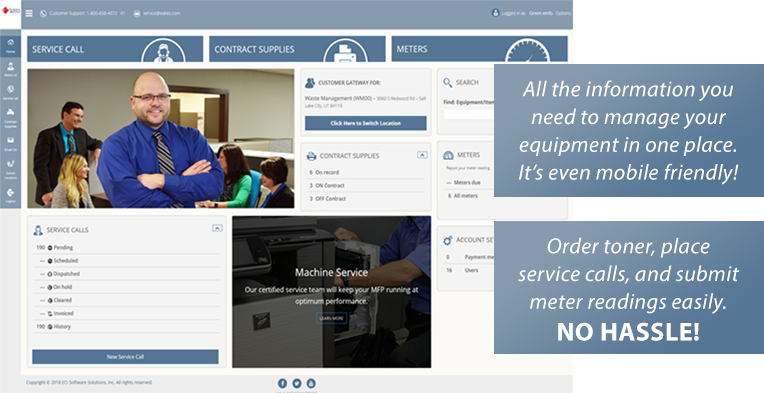 Our einfo website knows all of your equipment information and corresponding supplies. Why not use that information to make your job easier? All we need is a few fields of information to get you started! If you need TONER, SERVICE, or need to submit METER READINGS - you're in the right place! einfo is an easier way to get all of these things done without ever making a phone call.